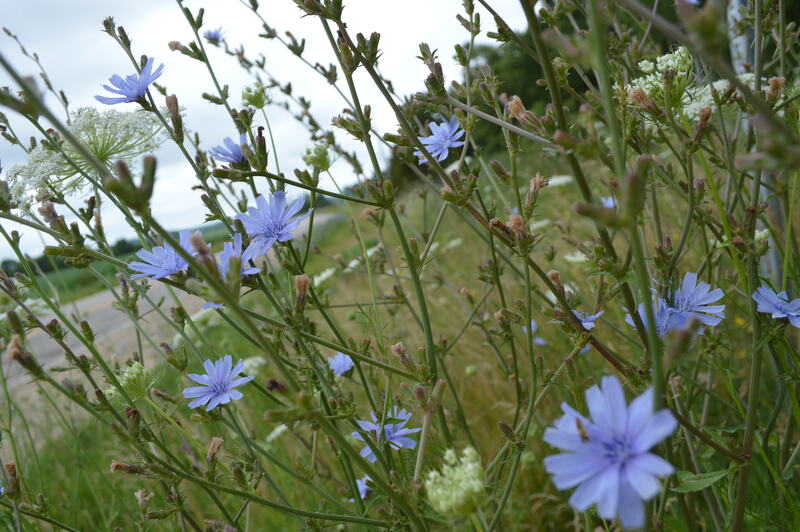 What is that blue flower on Iowa’s roadsides? If you drive on nearly any Iowa county road and many main highways, too, you’ve undoubtedly seen light blue flowers brightening the roadside. Although not native to North America, chicory (Cichorium intybus) has become ubiquitous in the state, and many others, as well. 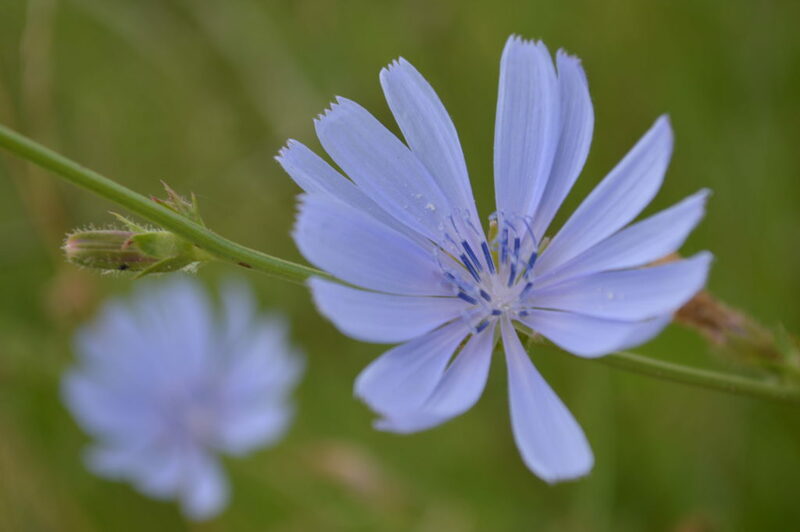 According to Polk County Conservation, Chicory was introduced to North America from Europe and is now a common roadside flower found throughout most of the continent. Chicory has many uses, but is most well known for its association with coffee, the site notes. The roots of chicory can be roasted, ground, and used as a coffee additive. It may also be used for salads, flavoring for stout beers or forage crop for livestock. Roots and leaves have long been used for medicinal purposes, as noted in Mother Earth Living. This is a great post, but the answer to your question is probably a lot more people than you think. I was hoping that on a blog called Homegrown Iowan, you might have gone to some local sources for information about using the botanicals therapeutically. You have a knowledgeable practitioner there in Cedar Rapids and Mother Earth News while a great homesteading source, is not the most accurate source for herbal research. Thank you for your message, Stephany! I don’t know that Iowans would have a different use for chicory than people elsewhere, but if you have information, please share! Thanks Deb! Yes, Queen Anne’s Lace is a European native, which now grows wild in the U.S.